The B-350 series presents the right balance between price and quality. Thanks to its wide range of models, it can be successfully used both in advanced teaching and in laboratories. 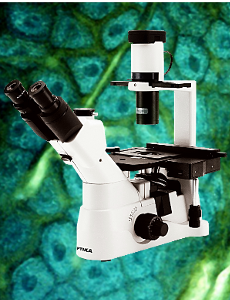 Professional users will certainly value the technical features of the B-350 series that make its high quality microscopes resistant and reliable. The B-350 series includes 8 models featuring achromatic, plan-achromatic and infinity corrected plan achromatic objectives. 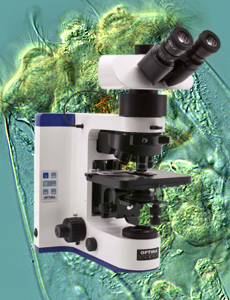 The B-500 microscopes have been designed for the best performance in routine laboratory use. According to the models, two different optical systems are available (InfiniFix and IOS).X-LED™ - The future of illumination OPTIKA is proud to introduce its own revolutionary LED powered illumination system. Developed by our R&D dept. it consists of a new combination of LED and optical technology. 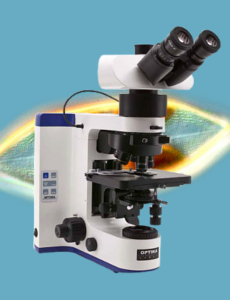 Polarized light microscopy provides all the benefits of brightfield microscopy and yet offers a wealth of information, which is simply not available with any other optical micros- copy technique, such as refractive indices, birefringence, retardation, extinction angle, pleochroism. Polarized light microscopy is best known for its geological applications, prima- rily for the study of minerals in rock thin sections and many other materials. 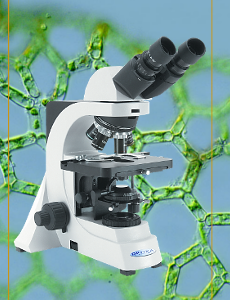 With the B-600 series, OPTIKA Microscopes set a new record in the quality-to-price ratio. 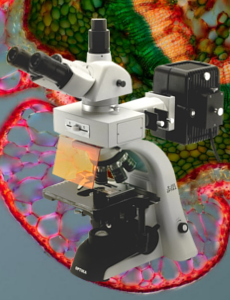 The extraordinary characteristics of a series of highly professional microscopes are now accessible for all laboratories, meeting the needs of those who are looking for a prime quality instrument, without having large budgets. 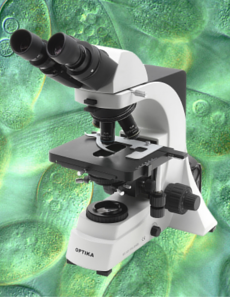 The B-600 series microscopes are instruments specifically designed to be used in a laboratory, where high optical quality is required. 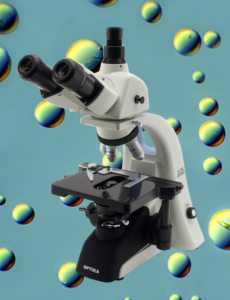 Imagine a fluorescence micros cope that needs a lamp change every 50.000 hours. 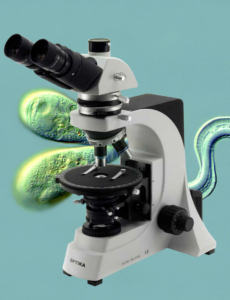 Imagine a fluorescence microscope with a cold light source that barely heats up during use. Imagine a fluorescence microscope that can be switched on, used immediately, switched off and then back on again. Imagine a fluorescence microscope that is so safe as to need no protection shield whatsoever, and that can be used by everyone, without any specific precaution. B-800 is built on IOS Infinity Corrected optical system, which gives both top-notch optical performances, and the possibility to extend your instru- ment with the broad range of accessories and modules. X-LED illumination is the best solution to have pure white light, very intense even at higher magnification, and optimum power efficiency given by solid state source. If you search for the best solution to your present and future. B-1000 originates from customer most demanding feedback's and needs. Its modularity and versatility will allow to find the perfect place in any clinical or basic reasearch laboratory. All controls are easily accessible and comfortable also for extended periods of observation. Highest category of optical equipment among our product range guarantees a sharp and clear view in any situation, while top level mechanical design offers sturdiness and long lifetime. XDS-Series looks at the challenge of the future with confi- dence, offering first-class com- pleteness, optical quality, mechanical versatility, that open the instrument to all the enhancements and accessories that will be developed through- out the years. OPTIKA has chosen XDS as its inverted microscopy development plat- form for all illumination and manipulation accessories. More- over, the open optical path allows the implementation of epi-fluorescence systems.